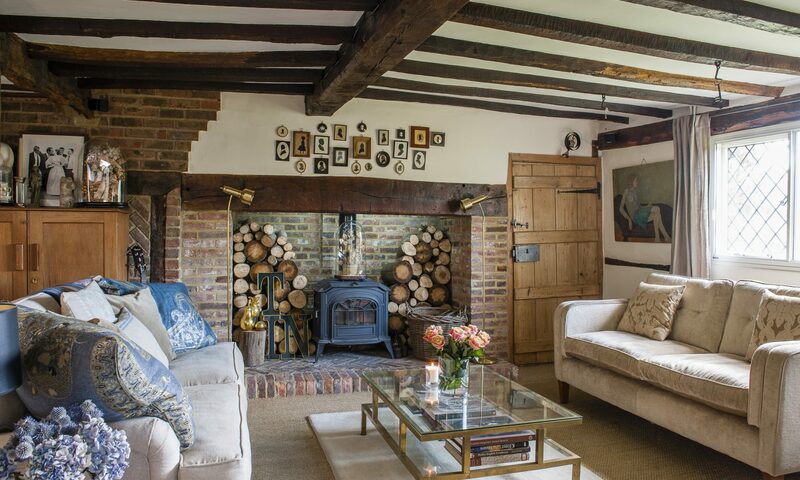 When creative London couple Roni and John decided to relocate to the country, they initially set their sights on a Kentish Georgian property. But once they’d happened upon a pretty 17th century cottage they knew they had found what they had ultimately been looking for. Moving from town to country has always been a life-changing decision and often not one that can be easily reversed. With the disparity between London and Wealden property prices, this is not always a journey with a return ticket. 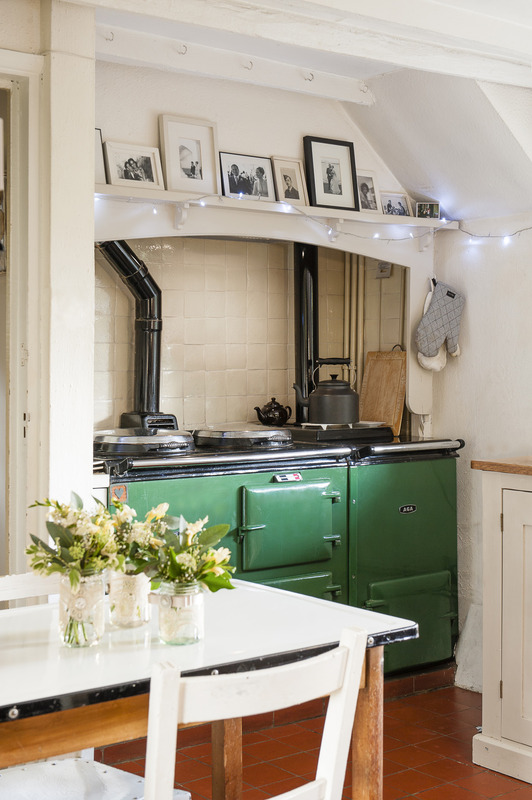 One’s first winter is not only sweetly scented by a shiny new woodburner but also the aroma of cheerily crackling bridges. It’s said that every Englishman is a countryman at heart and there is certainly an element of truth in this. Given the tiniest patch of urban turf we will try to turn it into a rural idyll. South London Waitroses are a sea of Hunters and Barbours, Islington residents rise to the cry of neighbours’ cockerels and allotments throughout the capital buzz with organic excitement. However, a little rus in urbe and the odd weekend beyond the comforting confines of the M25 is very different to forsaking friends and Fortnum’s and making The Big Break. Foreigners are amazed that so many of us voluntarily leave a city in which half the world would give their eye teeth to live and head for obscure little villages in the middle of absolutely nowhere. And they are truly thunderstruck that once we have got over the fact we have to drive 20 miles for a decent Americano, we are actually happy. The idea would be that she would leave her job as a designer for Next but that John would continue his London job, so his commute made Kent a better bet. The couple originally particularly wanted a Georgian property but quickly realised that Georgian – beyond the major towns – is not the Weald’s strong suit. 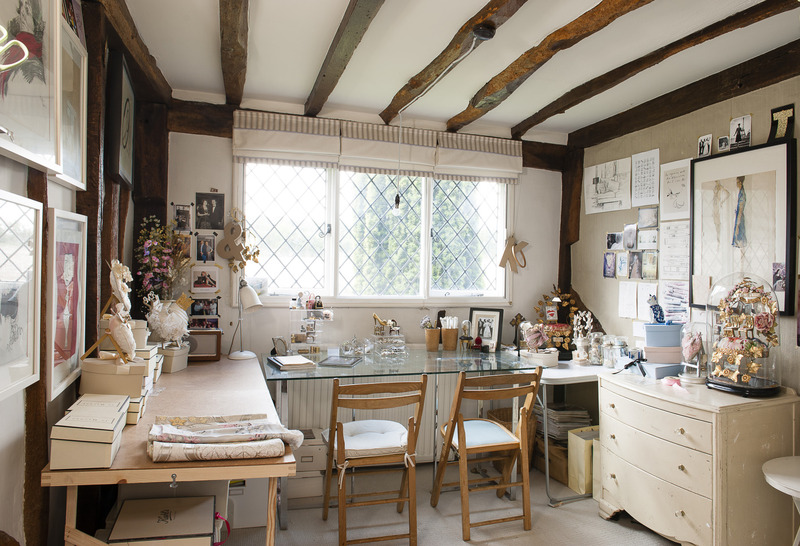 “We saw a number of Tudor properties with Georgian façades but nothing that that really ticked all our boxes,” says Roni. 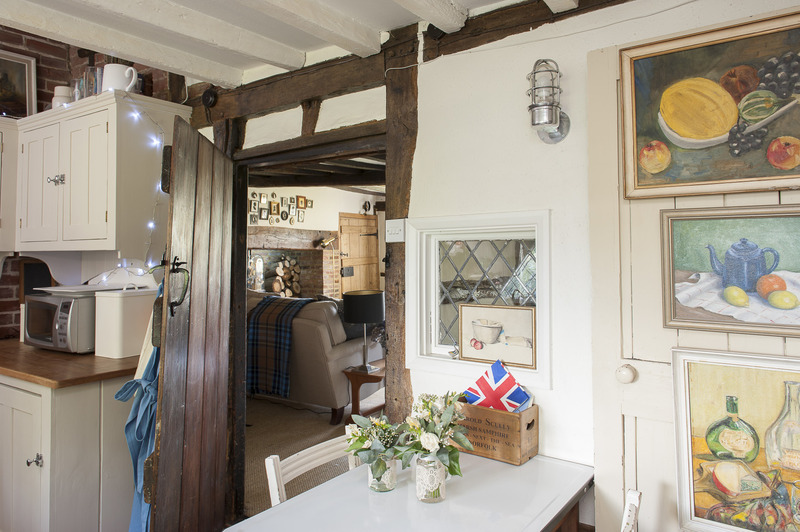 So the couple decided to widen their search to include other listed properties and immediately the Weald came into its own. 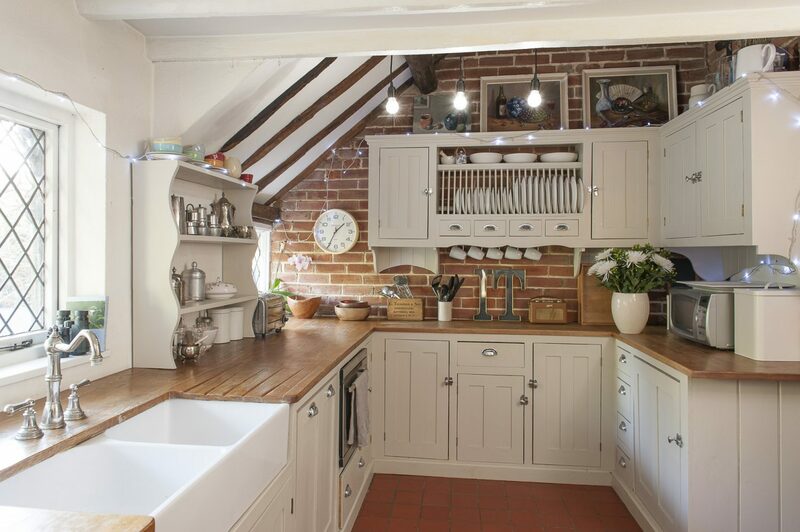 Before long they found themselves walking up the path to a pretty Tudor cottage on the outskirts of an attractive village and found themselves hooked before they set foot inside. “There were roses round the door, wisteria covering the walls and lavender everywhere,” she says. She need not have worried. Within a couple of weeks the Weald had woven its magic around them, they had made new friends and they no longer had the slightest doubt that they had made the right choice. “We just couldn’t believe how lucky we were,” she says. 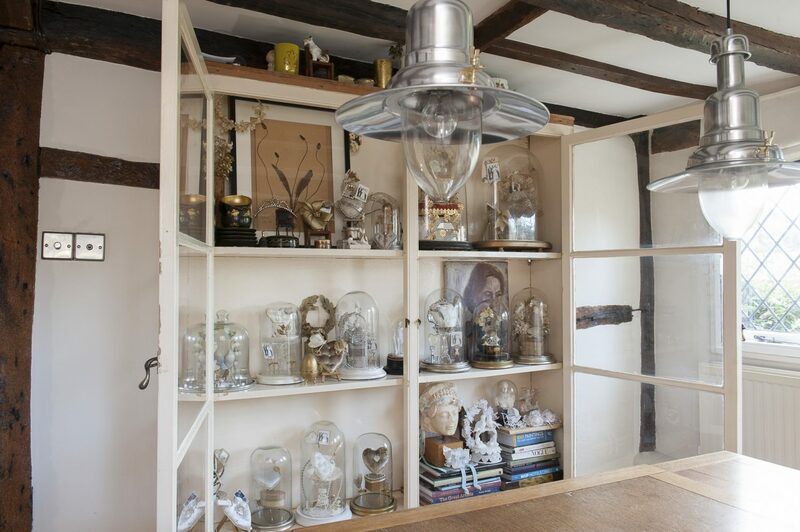 The concept is to create a unique, handcrafted collection of personal keepsakes, mixed with quality antique trinkets – all collected under one beautiful glass dome – either vintage or contemporary. “I’ve always loved glass domes and when we were married I gathered together my treasures – my handmade tiara, favourite photo, dress fabric, invitation, even the cork from our first toast! 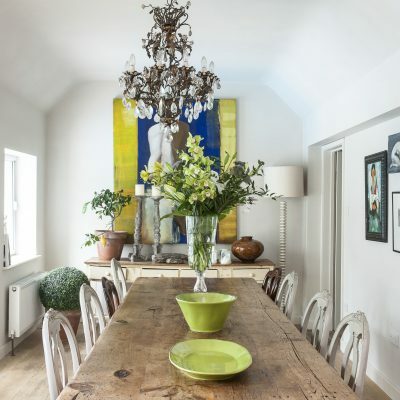 I then mixed it all up with some vintage finds, resulting in a truly stunning work of art,” she says. “I then discovered that 100 years ago or so the French were doing the very same thing. They included beautifully crafted metalwork, symbolising every aspect of love and marriage – an oval mirror was for luck, triangle mirrors were for fertility, oak leaves symbolised longevity, grape clusters were for prosperity, doves were for peace and wreaths for harmony,” she explains. The concept has now been taken a step further to include small wedding ring cushions, which have proved to be very popular along with birthdays, christenings and anniversaries – in fact any special occasion and Roni has gathered them all under a generic name, ‘Langs Domes For Life’. 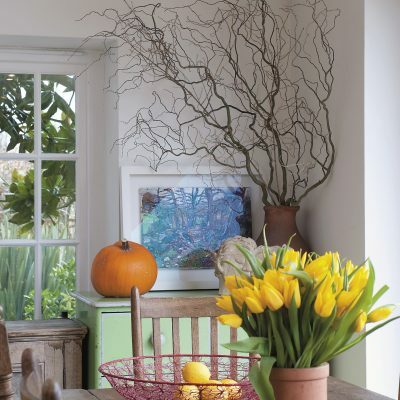 Roni’s new home was originally part of a farm barn which later became a silk weaver’s cottage. Rather aptly, silk is Roni’s favourite fabric and throughout the cottage are clever examples of silk recycles – from dresses and kimonos to scarves – given a new lease of life. 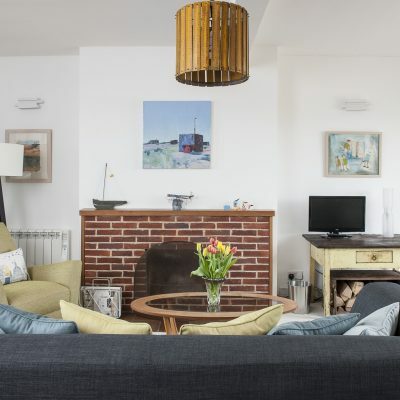 The cushions on her sitting room sofa are half covered in hessian and half silks, an interesting and effective marriage of colour and texture. 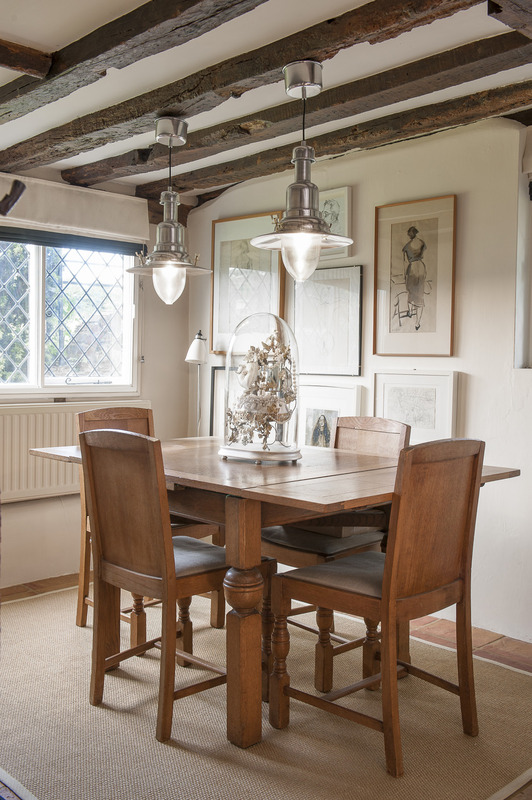 Over the inglenook is evidence of another passion, a collection of period silhouettes which ranges from Georgian through Victorian and Edwardian up to the present day. Needless to say art of any kind is an important part of Roni’s life and the cottage is a treasure trove of lovely pieces from the 1920s though to the 1950s. 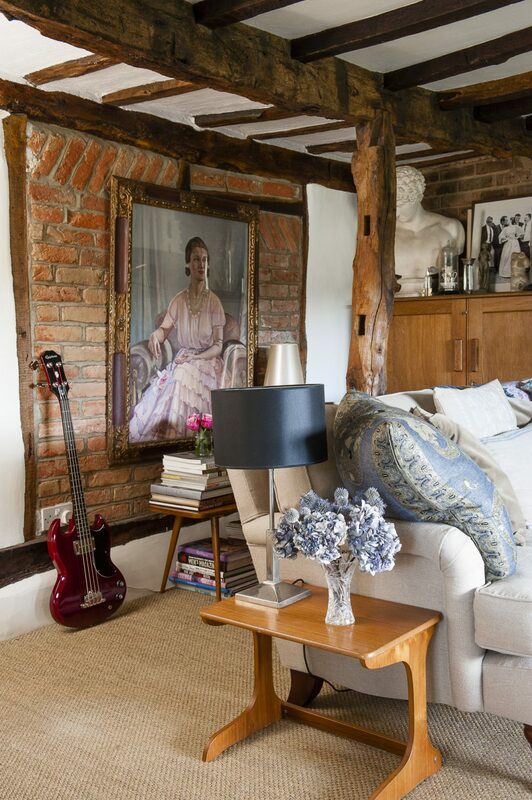 Her favourite is a large formal 1936 portrait of an aristocratic lady in pink that virtually covers one of the sitting room walls. “She’s my favourite and I now almost feel I know her,” she says. The piece came, as do a number of her most cherished paintings, from Roy Massingham in Westerham. 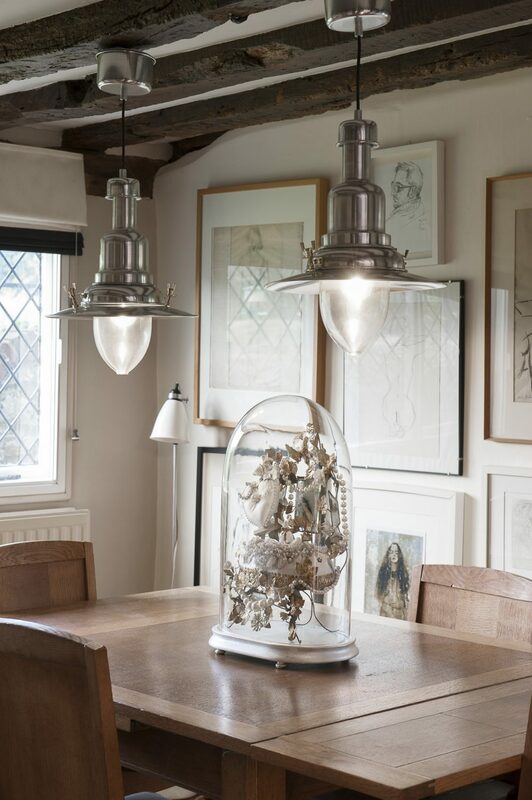 In the dining room, there is a pair of old stainless steel industrial lights contrasting beautifully with the glass-fronted top of a Victorian dresser-full of spectacular domes. 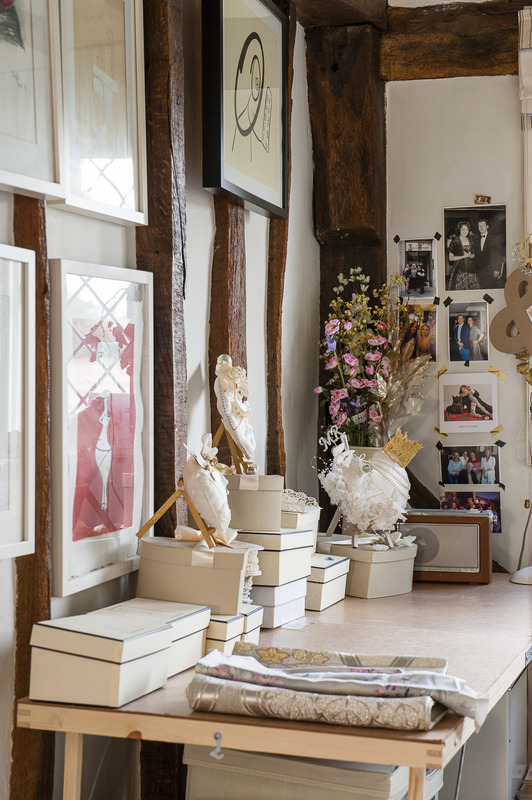 “These are my own collection which I hire out for events – for instance a group has just come back from a wedding anniversary party where they were used as table number holders and also for the centrepiece on the top table,” she says. Roni’s studio is a delight, her glass desk a treasure trove of items for future domes. 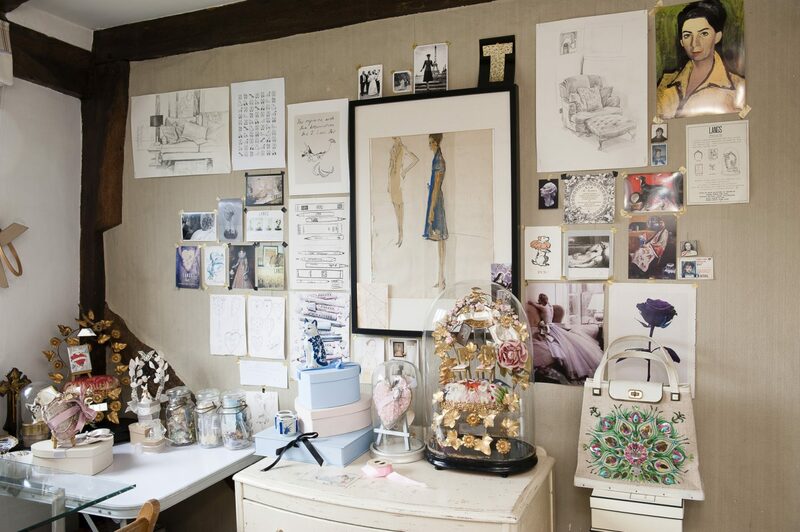 On a side trestle table are a tumble of Jo Malone boxes in which she keeps her bits and bobs. 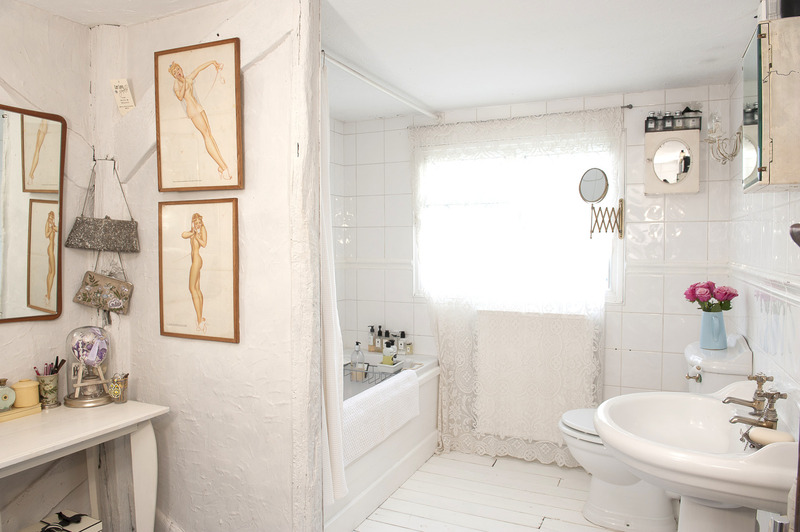 Every available inch of wallspace is covered by drawings and paintings by herself and friends. Also in evidence is a great black and white wedding photo of Roni, John and his ushers – an echo of the classic 1955 Harper’s Bazaar shots of model Dovima taken by Richard Avedon. 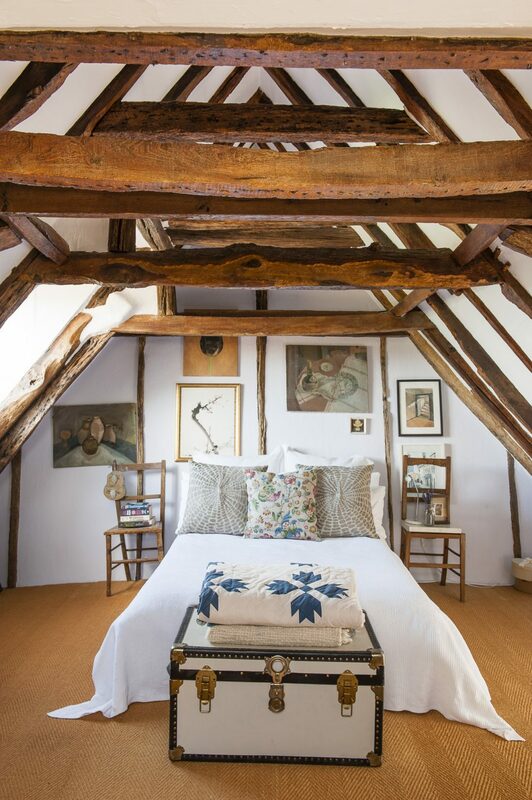 The couple’s bedroom is both intimate and elegant in equal measure. Centrestage is a glowing gold oriental fan over the bedhead that Roni found in Trash or Treasure in Hastings Old Town. Beside the bed is the couple’s own wedding dome. 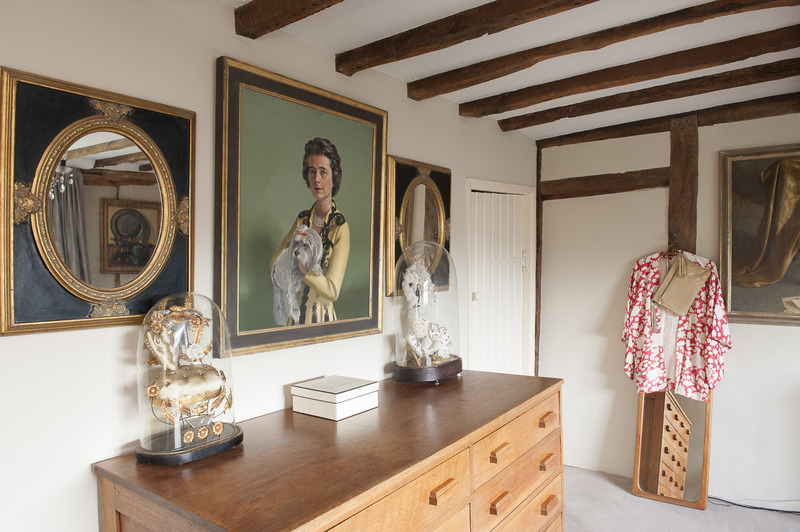 Opposite is a stunning 1920s mirrored chest of drawers and gazing down on it all is another 1950s beauty from a Westerham antiques shop flanked by two oval gilt and black mirrors. 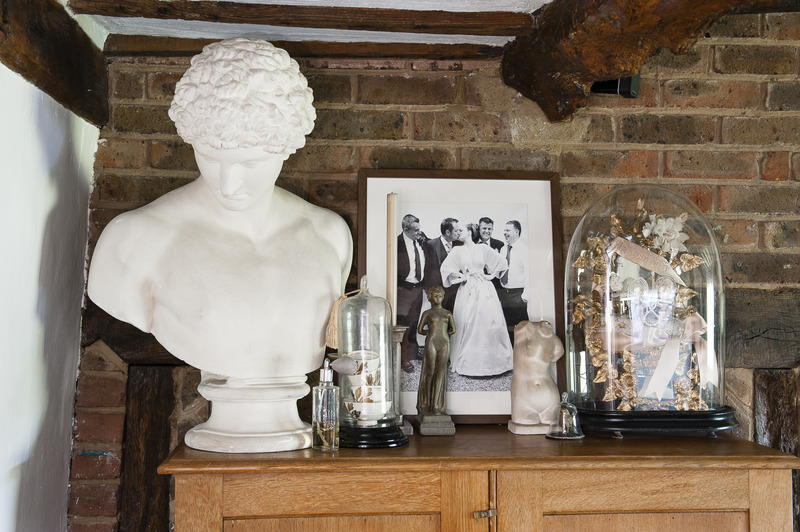 Beneath her on a 1930s oak chest of drawers are two more favourite domes. 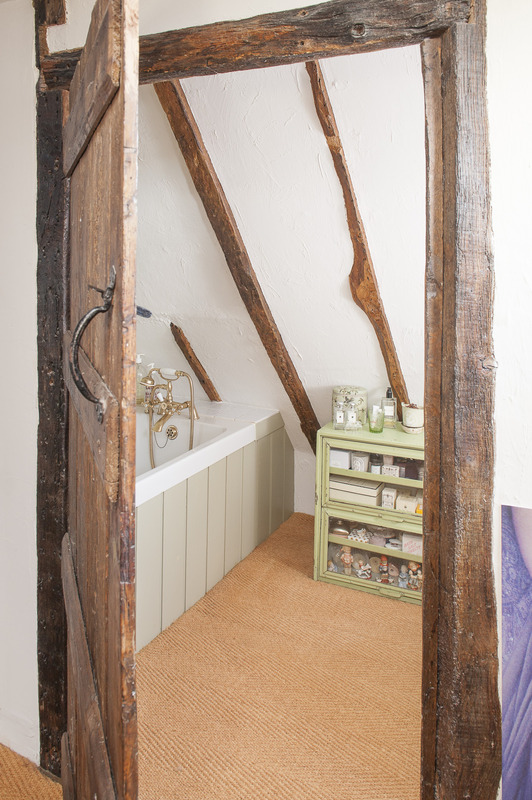 At the very top of the house is a magical little vaulted bedroom. 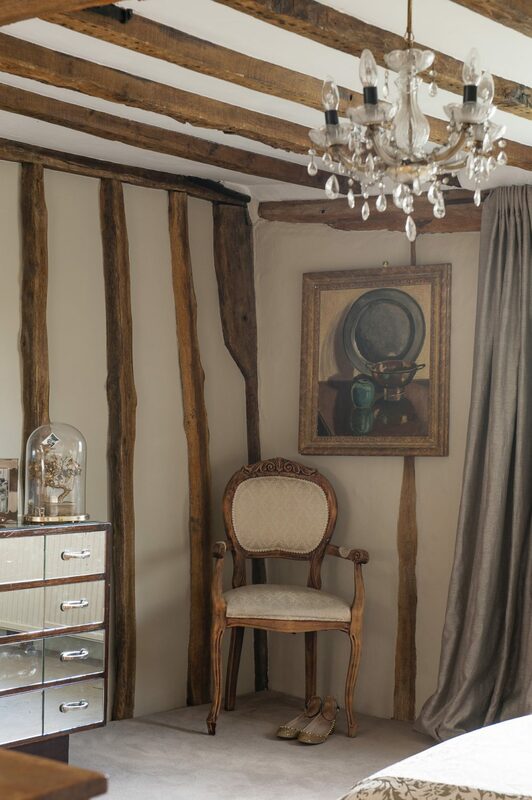 Still lifes and portraits gather round the bedhead whispering secrets beneath centuries-old beams which have heard them all before. If every London couple could be certain of a new life like Roni’s and John’s, our capital would soon be a ghost town. 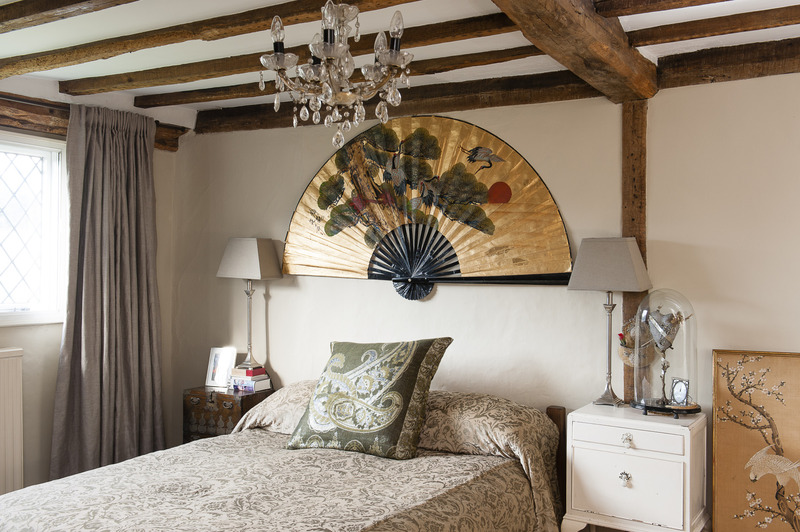 A glowing gold oriental fan takes centrestage in the master bedroom. Beside the bed is Roni and John’s own wedding dome.